LimiTED Edition! Wird nicht nachgpresst / no repressing after record is sold out! "Crazy" Cavan Grogan starTED to play music in the sixties. 1964 he formed with Lyndon Needs and Terry Walley the band Screamin' Count Dracula & the Vampires. 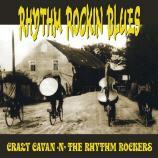 1970 was the the birth of the now so legendary Crazy Cavan ´n´ the Rhythm Rockers. 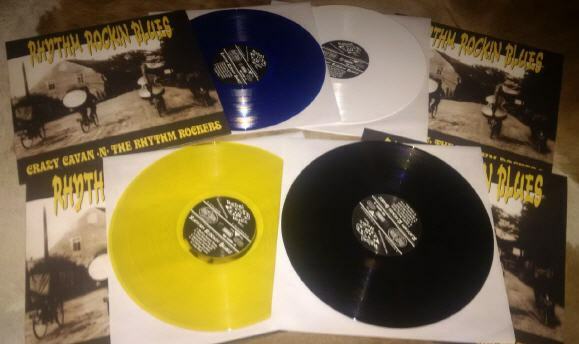 They released countless records on legendary labels like Rockhouse Records, Charly Records and Big Beat Records till they formed their own label Crazy Rhythm Music where also this album "Rhythm Rockin Blues" was first released. A lot of Teddyboy Rockers and music collectors was long time missing this album on vinyl...now here it is! Rebel Music Records is proud to do this job! Go out, see Crazy Cavan life on stage, he is still playing all over Europe, in 2014 he was also playing at the biggest Rockabilly Show on earth:, at Viva Las Vegas Rockabilly Weekender. And then put this record on your turntable, turn up the volume, and enjoy this record! Rock´n´Roll Will Never Die!!! "Crazy" Cavan Grogan hat in den 60ern angefangen Musik zu machen. 1964 gründete er mit Lyndon Needs und Terry Walley "Screamin' Count Dracula & the Vampires". 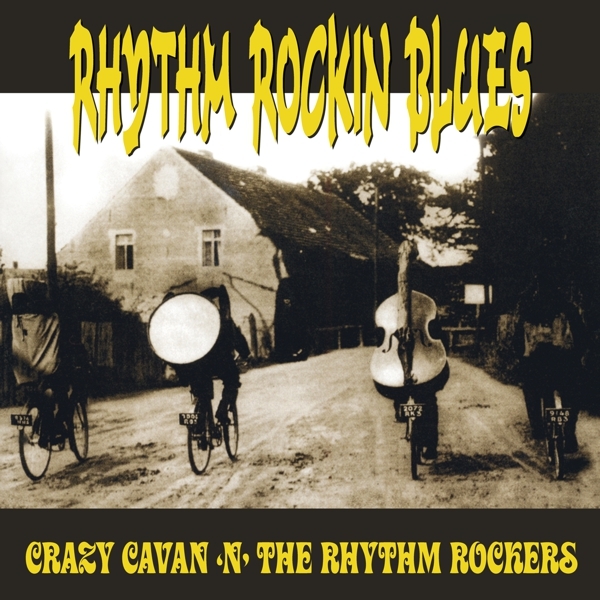 1970 war dann die Geburt von Crazy Cavan ´n´ the Rhythm Rockers. Sie veröffentlichten unzählige Alben auf legendären Label wie Rockhouse Records, Charly Records und Big Beat Records bis sie letztendlich ihr eigenes Label Crazy Rhythm Music erschaffen haben, wo auch dieses Album "Rhythm Rockin Blues" erstmalig veröffentlicht wurde. Viele Teddyboys, Rockers und Schallplatten-Sammler haben lange die Vinyl Edition vermisst, hier ist sie nun, und Rebel Music Records ist stolz darauf sie erschaffen zu haben. Geht auf die Konzert überall in Europa wo Cavan immer noch zu sehen ist, 2014 spielte er ja sogar in den USA beim größten Rockabilly Weekender der Welt, dem Viva Las Vegas Festival, legt die Scheibe auf den Plattenteller, und hört sie euch an...laut!!! Rock'n'Roll Will Never Die!! !